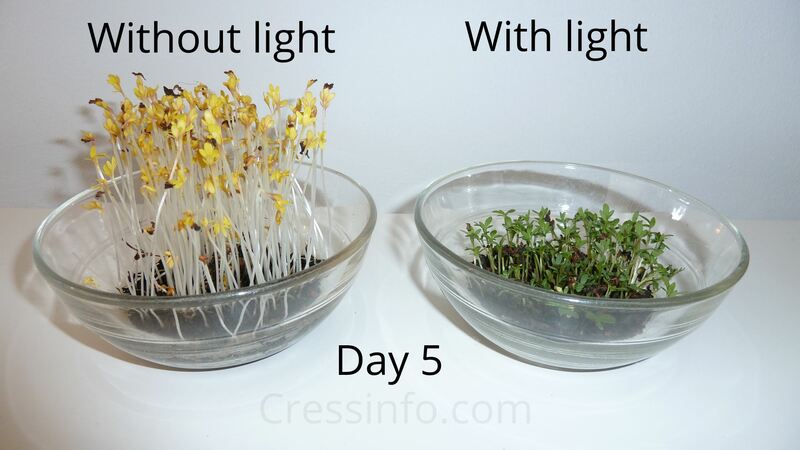 For this experiment we’ve taken two cups filled with cress seeds on earth. One container is then completely sealed of from light. The other one has been placed in a normal lit room. 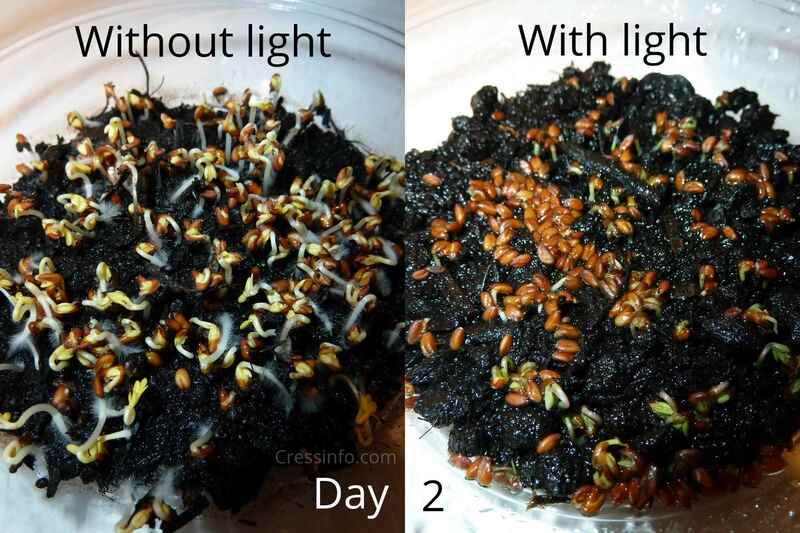 The cress seeds begin to grow significantly after a day or two and end up being more than 3 times as high. In the dark, the plants have no light to use in photosynthesis. They will therefore put all their energy into growing as high as possible to increase the chances that they may still encounter a ray of sunlight.